Today Emily and I got our feedback from people in our class, the whole class got into small groups and went around watching each others videos/ the people who were showing there iproject. All of our film was in a a time lapse which made it look really cool, well that is what everyone said, at the start of our film we had to add a quick ”How to make an iproject film”. Unfortunately my partner ”Emily” did not let me edit the film as much as I would of liked too, and there were many grammar ans spelling mistakes, also the slide show part at the start where it has the ”how to make an iproject” every time you would go to read each step it would go to quickly, so that you would be lucky enough to get the first line out of it and then it would disappear. It was frustrating for me to watch because if my partner had of let me help our film would/ could of been so much better, you might love a film or a piece of work that you have done but you also need to get someone else from another persons perspective of the piece/item of work that you are doing. Other peoples feedback was that it was really entertaining and funny at the end of the film, other people also said that they really liked our idea and it made them hungry even though our cake pops were slightly disgustingly sweet. Maths- This week in Maths we continued on the garden project, I sorted out all the prices and I still have a good 3 thousand dollars left which is good. At the end of the class I was thinking about a pagola and even an egg chair, next maths session I will add up those prices and it will add up to about 8-9 thousand and I will be about right. I really enjoy this project because it is so fun especially with a budget, many boys have gone way over there budgets because they have spent it on really ridiculous like two soccer goals that cost five thousand dollars each and they expect their friends to still have money so they can get money from them. I am just trying to make my garden look really pretty and good so it will look really awesome as the final product. I have to get the correct measurements for the area of the garden I’m doing because it is apart of the criteria. Inquiry-Today in inquiry Ellie and I finished our personal project and Emily and I also finished our iproject, Emily and I are having our feedback thing on Monday where all the class get in groups and they will watch our film and then give us constructive and positive feedback about our film. Once we have finished getting the feedback we will write a blog post about all the feedback that we got and also how much people loved and disliked our film. For Ellie and I’s personal project it is due on Friday morning but I think we have also already done that, we have a bit due this Friday but after that we don’t have anymore homework things just school related things that are quite easy and simple to do. It feels so great knowing that I have got it all done and I have a clear space in my head now, Ellie and I just need to Submit our personal projects in the submit folder which is being made tomorrow. Writing-I got so many seeds done this week, in one of my seeds called ”Girl in the picture” I wrote so small and which meant that I got so much writing on the page. It was a really descriptive seed and it looked really good too. I also got a few other seeds done that were really descriptive and had many words which filled the page. This week I need to update the Writing log which is where you add in everything that you did that certain week, so last night I did five seeds so I put fives ticks under the seeds column and I also had a conference and I also published a piece so I put a tick under both of those columns too. The writing session today was probably like the 2 or 3 writing session because fortunately we only 11 days left [roughly] and then the year will be over. Inquiry-This week in inquiry Ellie and I managed to finish all of our filming and all the voice overs. We re-shot the introduction and outro, because we thought we could improve a bit, the films are due next Friday on the 25th but I think Ellie and I can finish it by the end of this week if we set our minds to it. We have culled all of our footage so we literally just need to put the film in order of the voice overs and maybe just cut a bit of the film at the very ends of it. The hardest part was probably the introduction because we didn’t quite know where and how exactly to do it but we got there in the end, when we have finished our film I will put it om my blog for you guys to see. Maths- This week in maths instead of maths groups, we stayed in our classes but just rotated to a different teacher. We went with Mrs Stafford and I really enjoyed what we did, it was a pyramid but the edges were on a 90 degree angle and you could see the outside blocks which kind of looked liked steps. We had to work out how many blocks were there altogether, I just multiplied the outsides to get the number of blocks on each level. I finished a lot quicker then the girls on my table so I decided to work with some of the boys who were at the same sage as me to figure out the harder questions. English- This week in writing I probably had two of the most productive sessions ever, I managed to complete about 6 very long and descriptive seeds. I also managed to get three people to give me feedback on a writing piece so then I could go put it in the writing tray, Mrs Matthews had the conference with, I just needed to change a few words then I was lucky enough to publish the piece. I managed to finish publishing the piece in that writing piece, which was good. Today Emily and I were working a bit on our film, we had some very cool edits. We had rewinds, slo-mo, blurs, time lapse and a few other cool things that looked good in the film. It was quite quick to edit because we didn’t need to cut any film because we did that when we were filming, every time we would stuff up a scene we would delete it and re-film. And it was also easy because we had a two hour period and we both just worked really hard on it and managed to finished the whole film, and choose some good music to go well with it. On the weekend we finished filming it compl etely, and our cake pops turned out horrible they tasted horrible and they looked horrible. 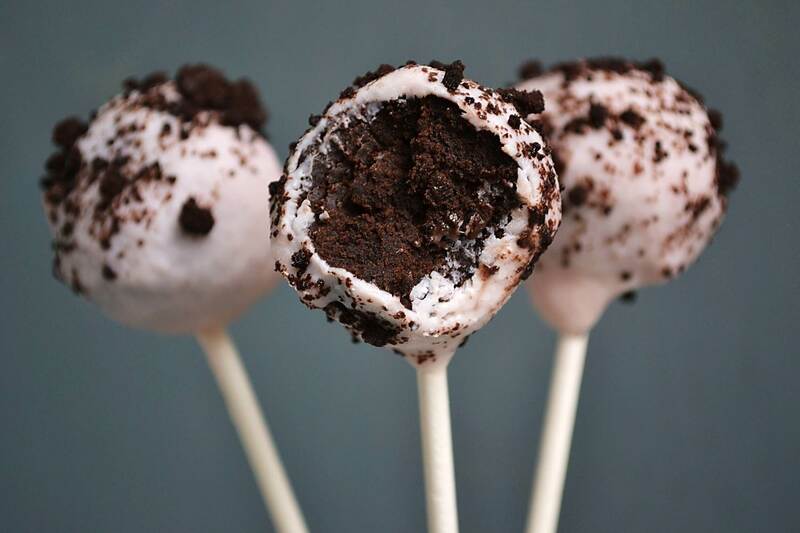 Our first problem was the icing, everything was going well until it came to the icing, we went to dip our cake pops in the icing but the icing wasn’t liquid enough so instead of pulling the icing out with the cake pop the icing pulled the cake pop in. We then put it in the micro wave and when we were getting it out Emily spilt it on my finger and it burnt me, which really hurt, it still didn’t work. We then just decided to work with the icing instead of against it and we had some good techniques going but they weren’t really working for us. We then got another icing which worked a lot better but we got it with four cake pops to go so there was no point really, even though we used it. At the end we put some sprinkles on, to try and make the cake pops look good but……… it wasn’t helping at all, we also tried them and they tasted absolutely disgusting. Thanks for reading readers!!! Today I will be talking about how Emily and I’s iproject is coming along. We are up to the filming stage and are catching up on the weekend, one of our many challenges was making a time to catch up, it was only difficult because we were both doing different sports and activities s on weekends and they were on at different times and it was just difficult. We originally had a drink and cake pops but we have decided it will take to long to do the drink because it is so big and choc-a-block, the cake pops will be still hard but it won’t take as long and as many goes if we just do one food. Both of us have never made cake pops before so we might have a few fails along the way, but that will also be good for our film, having some challenges that we have to pass through will look good in our film. I don’t think we will have multiple times that we attempt to cook because when it comes to cake pops they make about 12-14 with the mixture and hopefully it won’t be as hard as we think it will be to make. We will have a lot of different flavours and toppings so it will look very colourful and pretty. Here is my weekly Learning Post, for you. English- This week in English/Writing, I managed to published two pieces. One was called Orangutans and it was from my zoo film, I just typed up the words on a word document and put a really emotive picture in the background of two Orangutans in a forest with half of the trees cut down. The other piece was called Sorry and it was about a woman driving in the night and how she sees a faint outline of something on the road but skids and hits it, then she soon finds out that it was a young girl. I published that piece by scrunching up a piece of paper from a notebook and then writing the date and the content of the writing on the page. My aim was to make it look like a diary entry. Maths- This week in maths I went to the group where you would learn how to measure the perimeter of a shape, I found it quite simple and fun. It was really good because once we had learnt how to measure the perimeter properly we got a work sheet. 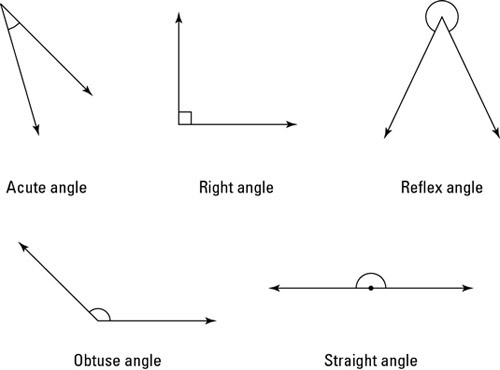 The worksheet was quite simple but fun and there were a few trick questions that I managed to get, when we finished all the questions but q.1 we went to q.1 and then we had to get 5 class room objects, measure them with a ruler and and then add the sides to then get the whole perimeter. Inquiry-This week in inquiry Ellie and I finished our personal project shotlist. The shotlist was quite long and it had about 12 shots, we had a lot of description, about what type of shot we are going to take, what we are talking about and also what we are filming. Next time we have inquiry Ellie and I are getting the teachers to go over our shotlist so that we will be able to tick the ”Planning” box. This blog post is just a weekly learning post. Maths-This week on Wednesday, we had maths groups. We were starting a new thing in maths…..AREA and PERIMITER, I signed up for the ‘’Measuring the area’’. I didn’t know much about how to measure the area or perimeter but I knew what they both were, Mrs S first introduced us to measuring the area and what it is exactly, and then when we knew what it was she gave all of us a work sheet. I found the work sheet quite simple but there were a few trick questions. ‘’The towns perimeter has 4 sides that are each 10km2’’ the trick about that is you just think of multiplying 4 with 10 but because there are 4 sides of 10 you would multiply 10*10 which equals 100. English- The other day in writing, Mr H came over to me to have a one on one conference. I had, had one conference with this piece already but I needed to work on it a bit more, Mr H helped me with so much in the piece and he helped me clear up a few sentence that I needed to work on. Once we had finished the conference I went over and re-wrote the piece so I could clear it up a bit and make it a lot easier to read and understand. When I had finished writing the piece I stuck on my seed to it and my other draft, now it is ready for another conference which I can hopefully publish it in. Inquiry-This week in inquiry, we started our personal projects, it isn’t really personal though because it must have something to do with the school. We had to think of a video to make which would help the school out, like how to use your record book properly, that is what Ellie and I are doing. We were lucky enough to get a free record book form Mr P, we wrote both of our names on it and also wrote some ideas on a piece of paper. Next week we will type up a shot list then hopefully we will be able to start some filming in about two weeks. This term we got a great opportunity to help support 1 out of 10 animals. First we chose an animal, Orangutan, Helmeted Honey eater, Crocodile, Seal, Stick insect, and so on. I chose the Orangutan because us humans share so much in common with them, and they also would have a very strong message to convey. Once we had chosen the animal that we should lend our voice to, we did a lot of research on that animal, [where they live… what they eat…. why they’ re endangered] When we got enough feedback and we were quite happy with our information, we all started putting our info in a good order for a script. I found the script probably the hardest part because I didn’t really know where to put certain sentences and if I should just start with they’re endangered or take my time getting to it. Once we had our scripts pretty much done the teachers organised a date for us to go to the Melbourne zoo, so that we would be able to to a piece to camera with our animal behind us in the background and also to get all of our footage for our film. The morning came and we got on a bus to go to the zoo, when we got there we all got into our groups of what animal we were doing, in the Orangutans there were only a few people so it was good that it wouldn’t be as difficult filming and not as crowded when walking. We checked out a few of the animals which was quite fun but when that was done we were straight to the Orangutan enclosure, we did a little bit of filming then grabbed our lunch. One of the zoo keepers came into the Orangutan area and gave a great talk about how the animals live and what they do. When he had left and most of the crowd had gone to we started doing our piece to camera, a few of the girls and I did it in front of the food area in the Orangutan enclosure where it has some products that did and didn’t have palm oil so we were able to point at some of the foods to get a stronger messages across. When we got back we quickly downloaded all of our footage on to our computers then it was home time, we were already for a big day the next day culling and editing all of our footage. So we edited and culled all of our footage until we had enough then we started piecing together the film, I thought putting the film in was probably the easiest part because when the voice over came we wouldn’t have to put the film in particular order. I did my film quite quick so I was one of the first to add a voice over, when I had completed my voice over I changed a few of the positions of my footage so it went perfectly with the voice over. But there was always something else, so then again we put our computers down and got a sticky note so that people could write the positive things about our film and how much we had improved from the first film. I think this was a great opportunity for us year 6’s to have because we learnt about the real world not everything is happy and the world isn’t getting better, people are killing animals for popularity and fame and just to show off a lions head on their wall, I realised that we could do just a little thing for that animal but it would have made a big difference to that animal. This week I will be doing my weekly ”Learning Post”. Writing- Today in writing, two groups had a conference. Unfortunately it wasn’t my group; so I just worked on a seed, but then I couldn’t think of an idea so I was very stuck for a while. I asked Mr W [Jr.] to help me think of an idea and he said I just needed to look back at my other seeds and then I would get an idea. Sure enough I went past one of my pieces called ”Sun” an I decided to do a piece about Space, because the sun has a link to space. Now when I am stuck for ideas I will definitely know what to do, look through all my old pieces, then I will have an idea. Inquiry- This week our first draft for our zoo film was due on Tuesday. I remembered to do mine so I was proud of myself and what I had actually achieved. In first period we got into a massive group and the teachers discussed our task. We had to get our film up and then with the piece of paper they handed us we had to write our name on it and then go around giving feedback on that persons paper, and tick certain boxes that the film included. I accidentally put the wrong film in, it was pretty much the same it just didn’t have the music, and it was funny because the only bad feedback I got was add music. When we got to go back and edit our films and improve with the feedback, I got my other film and then made it perfect. When it was perfect we were aloud to put it into the final draft for our teachers to go over on, on Friday. I rendered my final copy and put it into the K-Drive ready for my teacher to access. Maths- Lately in maths we have been working on Algebra, at first I found it very, very difficult but I asked my dad to help me get better at it. But this week we did this harder thing in Algebra with two mystery numbers, which I have also found slightly confusing, but slowly managing to figure out. I want to completely know how to do it, so… I am going to do some more with my genius dad. Today I will just be doing my weekly learning post. Maths- Yesterday in maths we got a test result back on one of our angles tests. I knew I wouldn’t have gone well with the measuring side of it because I had never used a protractor before. Then we were to go sign up in maths group in the thing we needed to improve the most, and mine was measuring [for a maths lesson at the end of the day] Finally the end of the day came, it was time for maths groups, Miss T explained it really well. Once I had done a few practices, I was pro. Inquiry-Today in inquiry we continued on working on our zoo films. I was lucky enough to finish my whole voice over, the unfortunate thing is…………….. none of my photos or videos from the zoo were going into Corel. [The program/website that we edit videos on] I tried to make them into Mp-4 but it wasn’t working. I am going to work at school tomorrow and try and get them in Corel, but if I can’t I will be able to ask one of my peers or a teacher. Writing- Today in writing it was my groups turn for our fortnightly conference. I had one piece of writing in the folder called sorry, so I was going to be conferencing that writing piece. First a few other people in the conference group read out loud their own writing pieces, then it was turn for mine.I read my piece aloud, [Sorry] it was a bit of a dark piece, it was about a older girl running over a younger girl in the middle of the street, at night. I got all my comments about everything that my peers liked, then it was time for the most important bit, the construction, i just needed to explain kind of who the girl was and go a bit deeper with what she was doing. So in the last 30mins of writing I completed that piece, ready for a conference in 2wks.